EVG Research Team here. 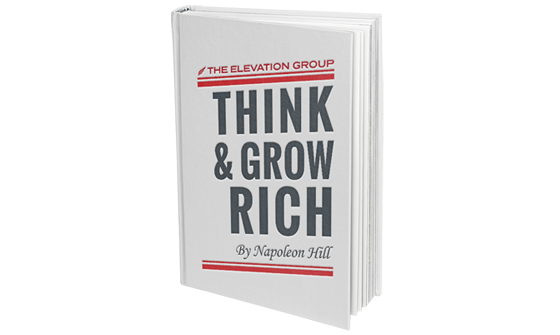 A couple of weeks ago we released a free download of the digital version of Think & Grow Rich. If you missed out on that, you can still download it here. The fact is, you can use the 13 “success principles” in the book to achieve almost anything you want in life. For example, back in 1973, an unheralded boxer named Ken Norton stunned the world and became an overnight sensation by defeating the great Muhammad Ali in a heavyweight title fight. No one else believed he could do it. Even his own family doubted him. But he knew he could. After beating Ali, Ken Norton ended up making a lot of money too. His goal, however, was simply to be the best he could be at what he loved. Is there something in life you've always wanted? A goal you've wanted to accomplish? A possession you'd like to acquire? A passion you'd love to pursue? Could you use some help getting there? You see, Napoleon Hill didn't just come up with these success principles on his own. He spent 20 years studying, interviewing and analyzing the most successful people of his day. Famous success stories like Woodrow Wilson, Thomas Edison, John D. Rockefeller, Henry Ford, Franklin D. Roosevelt and Alexander Graham Bell. Then he distilled all their common traits and habits into 17 “laws of success.” Later he simplified his findings into Think & Grow Rich with it's 13 principles of success. So if you want to be successful, doesn't it make sense to find out what other successful people do … and then do what they're doing? Success stories like Oprah Winfrey, Tiger Woods, Tony Robbins, Suze Orman and many others have followed the exact same principles found in Think & Grow Rich. Why Do These Principles Work So Well? These principles are so potent because they allow you to focus on what's been proven to work. That way, you get to bypass all the mistakes and roadblocks other successful people struggled through. It doesn't mean you'll avoid every difficulty. You'll just have a lot fewer of them. For example, Mike Dillard (the founder of The Elevation Group) struggled for 5 years trying to “make it” on his own with a network marketing business. He was dead broke and waiting tables, eating ramen noodles for dinner and pawning off prized possessions just to survive. But once he shifted his mindset to model the success of the top earners (in a new and unique way), he zoomed past all the struggles and made his first million in 18 months. Several years later, Mike started the Elevation Group. And guess what he did? He did the same thing Napoleon Hill did. He found the best and richest investors in the world, interviewed them and distilled their strategies into a 3-part, systematic wealth-building plan. This approach enabled him to bring the “investing secrets of the ultra-wealthy” to normal people like you and me. That simple approach has allowed The Elevation Group to become the fastest growing financial education company in the world, changing the financial futures of over 50,000 individuals worldwide. The point is, you can use Think & Grow Rich principles to accomplish almost anything you want in life. Make more money. Get a better job. Start your own business. Spend more time with your kids. Travel the world. Great. Then download your free copy of Think & Grow Rich and start applying these principles to your life. It won't bring instant fame, fortune or riches. That's just fantasy. However … following the success principles of the ultra-successful you'll find in Think & Grow Rich will put you on the proper path. And slowly but surely, your mindset will change so that you can accomplish almost anything you want in life. Even if it seems impossible to everyone else. P.S. Mike Dillard's journey is truly an inspiring rags-to-riches story, and he's now applying Napoleon Hill's Think & Grow Rich principles to the world of investing, with some eye-opening results. If you're interested, click here to view Mike's free presentation which reveals how you can start using the investment secrets of the ultra-wealthy starting today.